This month for Fine Dining & Breathing, Spencer and I decided to try Habanero located at 1508 Essington Rd. 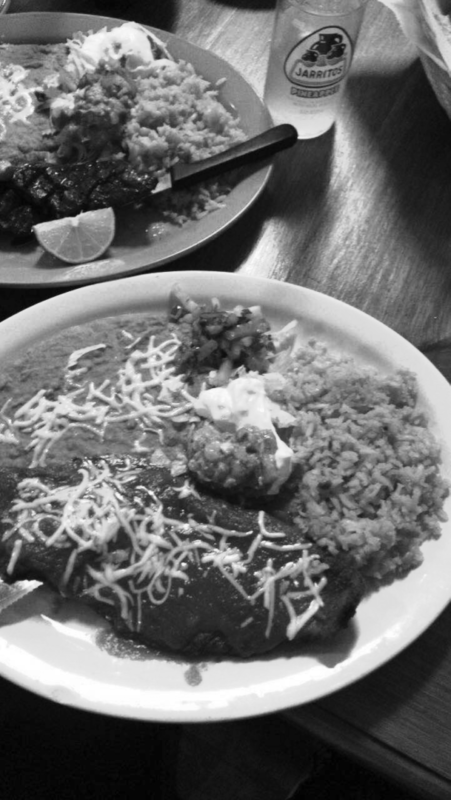 Their restaurant serves a wide variety of Mexican food while maintaining an authentic environment. Walking in there were many historical and religious paintings, and the Hispanic music sealed the friendly and talkative environment. The service at the restaurant was amazing. The friendly waiter made an effort to stop by and check on us throughout our stay. Seeing her perseverance in continuing to check on us definitely made me feel special. I ordered the Milanesa Suiza, which is a breaded thin piece of tender steak. My drink for my stay was two pineapple jarritos, which is a popular fruit flavored soda. My main entrée was amazing. The portions on my plate could easily feed another person, and they didn’t hold back on the sides. The rice was cooked thoroughly and had no crunch to it, and the guacamole tasted like it was just freshly prepared. I’m not a big fan of beans, but they went together with everything. The breaded steak had a nice texture to it, with perfect consistency. I fumbled my tortilla since it was scolding hot, which was a sign they were eager to serve and I didn’t mind that at the least. If you want to dive into a restaurant that thrives with culture while having a great time with friends or family, Red Habanero is the way go to!